From the kitchen to the closet, "The View" co-host shares her favorites. From portable wine bags to humorous napkins, Whoopi Goldberg shares her current obsessions on her birthday this year. The Vingardevalise: This is perfect for a wine-loving traveler! The Vingardevalise is a specially-patented travel case designed to safely transport your wine and spirits on your trips. 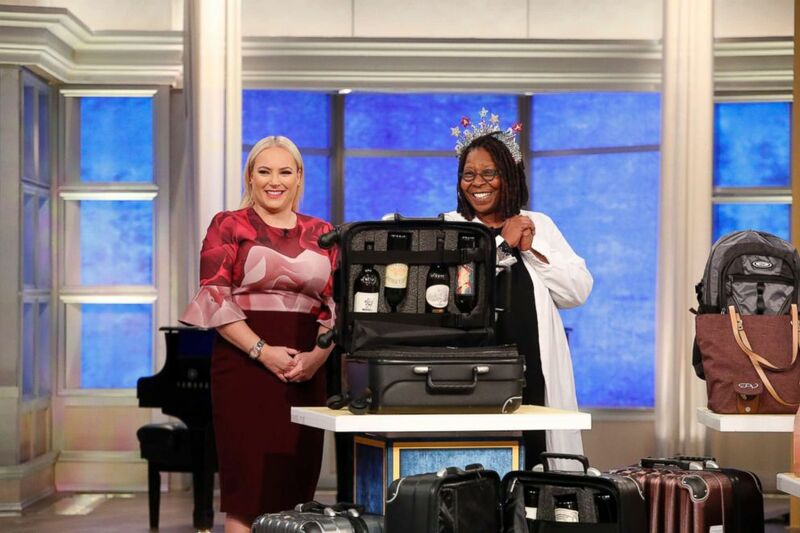 (Lou Rocco/ABC) Whoopi Goldberg shares her favorite things with Meghan McCain including The Vingardevalise, a travel case designed to transport wine. PortoVino Wine Bags: This bag is roomy enough to hold all your essentials and your favorite wine! Take your wine to go in this fashionable PortoVino Wine bag that allows you to store and pour up to two bottles of wine or your favorite beverage on the go. Warther Cutlery: The Warther Cutlery Cutting Board is a hard maple cutting board that comes with a 5-inch sandwich knife and easy magnetic storage. Warther Cutlery also offers inlay and laser engraving for their products — perfect for a personalized gift. 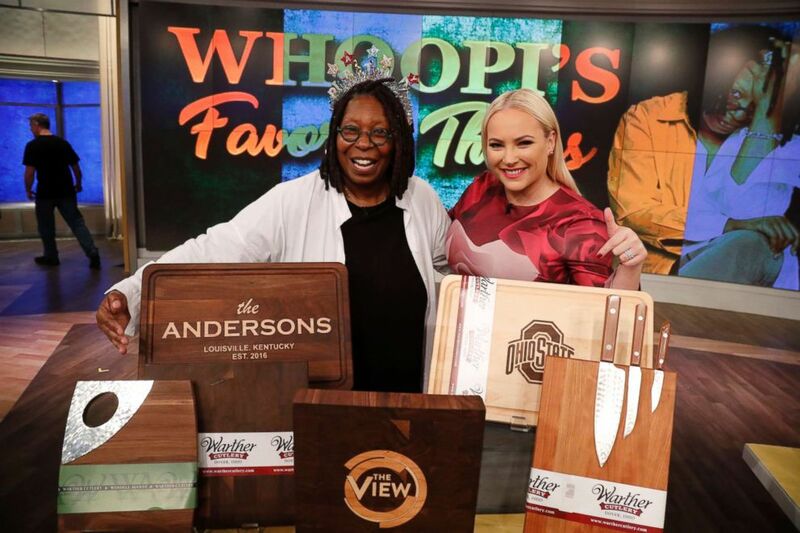 (Lou Rocco/ABC) Whoopi Goldberg shares her favorite things including the Warther Cutlery cutting board. Philips Somneo Sleep and Wake-Up Light: This light simulates the gradual transition of the sunrise to help you wake up and feel more rested and energetic. Philips Somneo also offers a customized go-to-sleep experience using light-guided breathing to help you relax and drift off to sleep faster. 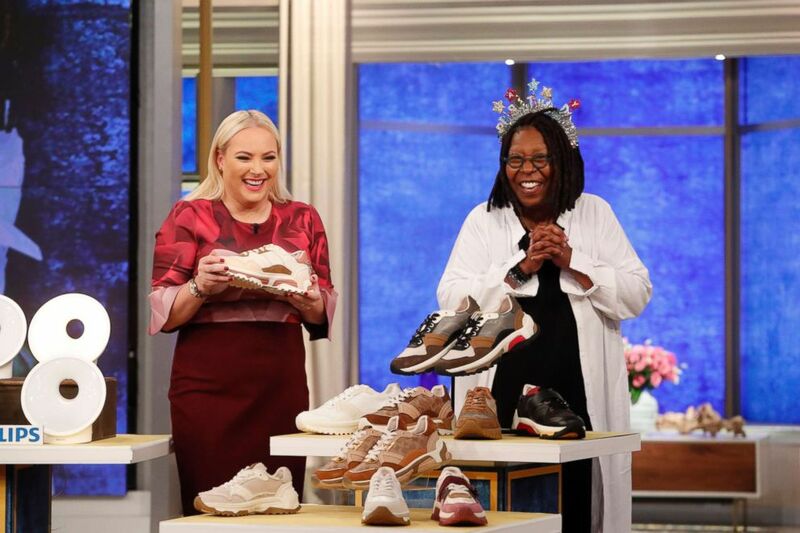 (Lou Rocco/ABC) Whoopi Goldberg reveals her favorite things of the season including the Coach c143 sneakers. Coach Shoes: Rock these Coach c143 sneakers like Whoopi! This sporty, retro-inspired sneaker has a technically crafted sole, comes in various styles and colors, and is available for men and women.